Last weekend, Tresor, Berlin’s longest running club and label institution, celebrated 25 years of shaping the face and definition of techno with a big festival. 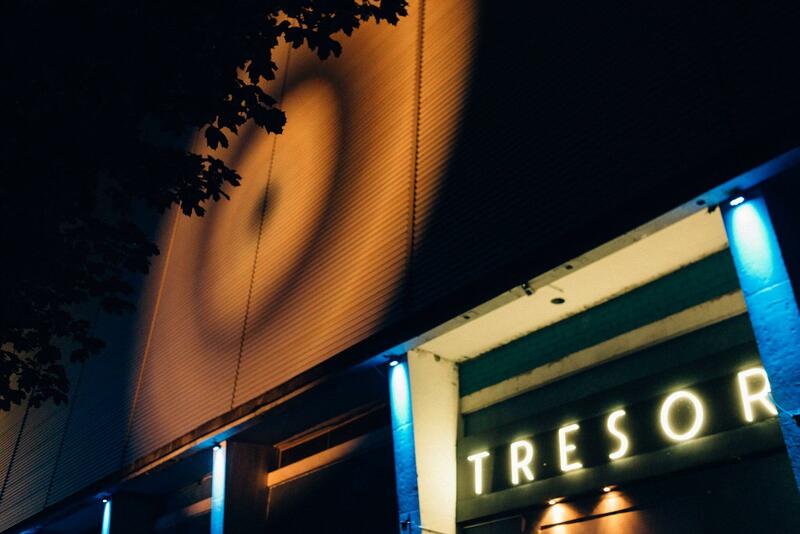 The celebration stretched out over four days and was held in all three venues—Tresor, OHM and Kraftwerk—that constitute Tresor’s new location at Köpenicker Straße. The lineup successfully managed to bring two generations of artists from Tresor’s rich legacy together. Surprisingly though, there was one chapter completely missing. In the mid-’90s, Tresor’s sound shifted significantly. Though still rooted in Detroit, both the label and the club began to introduce a new perspective imported from the UK. Techno tracks coming from Brighton and Edinburgh-based artists like Cristian Vogel, Neil Landstrumm, Tobias Schmidt, Dave Tarrida, Si Begg and Subhead helped to introduce a wild, bleepy and irreverant sound that often burned the rulebook in favor of a bit of dance floor madness. This period lasted from around 1995 to the early 2000s, and produced many-a-not-so-obvious-classics in Tresor’s discography. Here are ten overlooked tracks that still sound as fresh and adventurous as when they were first released. The opening track of Neil Landstrumm’s first album for Tresor is a prime example of the wonky side of techno that came from the UK in the mid-’90s. Swirling bleeps, a pinch of electro, off -the-cuff drum programming and a devastating Reese-style bassline make for an idiosyncratic rave track and a timeless dance floor destroyer. Of all the artists listed here, Cristian Vogel has left the biggest mark in Tresor’s discography. Between 1995 and 2007 he alone recorded six albums for the label, plus various EPs and remixes. “In”, the opening track from his debut long-player Absolute Time takes the bleepy minimalism of artists like DBX and the tracky freak-out sound of Chicago’s Relief Records and drags it down the rabbit hole for a massive warehouse refix. Tobias Schmidt was one of the last of the Brighton posse to record an album for Tresor. “Forgotten” is one of the highlights from his debut Dark Of Heartness. It’s a dense piece of pummeling techno magic that’s injected with a perfect balance of classicist chords, squelching low-end and twisted sequences that run wild in the back of the mix. Simon Begg AKA Si Begg (who co-ran Mosquito Records with Cristian Vogel back then) only recorded one 12″ for Tresor, but it’s filled to the brim with the playful brilliance you can find in any of Simon Begg’s many alter egos over the years. He’s definitely one of those producers who’d fall asleep if he was asked to come up with a streamlined techno-chugger soaked in functionality. “Not Of Your World” is the pick of the EP. Imagine a Wishmountain track being captured halfway through and turned into a cacophony of chirping machines, drum fills and vocal snippets. “Mouse Catcher General” is taken from Dave Tarrida’s first 12″ for Tresor in 1999, and it’s all about the devastating effect of its bassline. Think Mr. Oizo’s “Flat Beat” turned into a monochrome grinder for dark basements and, er, vaults. The sense of humor which made the Frenchman’s hit so appealing (and was coincidentally released the same year as “Mouse Catcher General”) is here, too, but with way more subversive glee. That subversive humor is one of the biggest contributions by Vogel, Landstrumm and company to the sometimes painful seriousness of the purist Tresor sound. Unlike the other artists listed here, Subhead aren’t technically from either Edinburgh or Brighton. But there is a connection in the form of soon-to-be-soul-crooner Jamie Lidell, who as Subhead’s third member had a hand in their first releases (including one on Tarrida’s Sativae). “Pot Bellied People” is taken from the duo’s debut album Neon Rocka, which Tresor released in 2001. It’s an unrelenting whirlpool of bit-crushed sequence shrapnel, squashed vocal samples and pounding drums—all delivered with a punky zero-fucks-given attitude. Detroit meets Edinburgh on this one. Jay Denham takes the standout cut from Understanding Disinformation, Neil Landstrumm’s first album for Tresor, and turns it into a fast-paced belter. It fuses the original’s rambunctious energy with a slice of the 313’s trademark anthemic and soulful synth work. Denham’s “Praline Horse” remix sounds like a wilder and less restrained cousin of a track Robert Hood might release as Floorplan or Red Passion. “Bite & Scratch” was Vogel’s first 12″ taken from his second Tresor album Body Mapping. Backed with remixes from Joey Beltram and Blake Baxter, it’s arguably one of the highlights in his discography (and Tresor’s for that matter). Detroit’s Blake Baxter transcends the original’s furious and fidgety intensity into a more straightforward slice of dubby techno hypnosis. Like Neil Landstrumm, Stephen Brown calls Edinburgh his home. This is his only appearance on Tresor, but it’s definitely a keeper. Fast-paced, with a funky syncopated underbelly and dubby filter sweeps, his remix of “Scandinavia Sessions” is the perfect dj-tool. It’s a mesmerizing lesson in the beauty of simplicity—a timeless track to instigate dance floor euphoria. Not long after Joey Beltram remixed “Bite & Scratch”, Cristian Vogel returned the favor and tried his hand at “Metro”, the New Yorker’s second record for Tresor. As expected Vogel injects a heavy dose of nervous energy into the classic Beltram sound. His remix twitches and winces to a pounding beat, penetrated by rough drum fills.